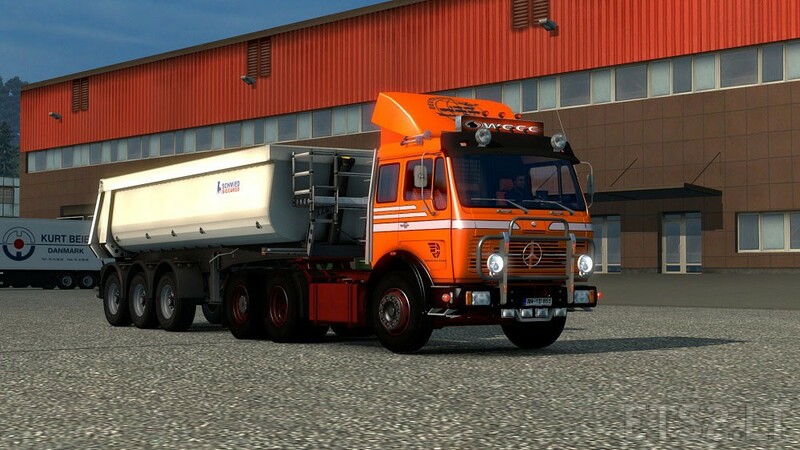 If you have a Mercedes by Ekualizer in your Grarage with a 12 speed gearbox, you must sale out this truck, because this version has only 16 speed gearboxes. Sound is captured by an Mercedes SK/MK 1726 V6 natural aspiration. To capture sound from a NG 1632 is planed, but not possible at this moment, because there is no NG in sight. Nice truck, I love the sound. If a plan to update the mod exist, think please to fix the wipers because they does not wipe the windshield where is needed. i love good old trucks, this one is my favorite ,, please next update fix the windshield wipers , they don’t wipe all the way, plus outside wipers don’t move at all ! !